Approximately 49% of the U.S. adult population currently shoulders or soon will shoulder elder care responsibilities. 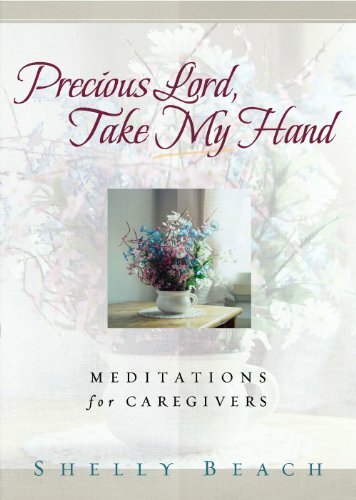 For the past seven years Shelly Beach and her husband have been caregivers for their parents. At present, they have two parents living with them. What are the challenges of this kind of day-to-day caregiving, which many children are facing today as their parents age and deal with illness, Alzheimer’s, and death? With her fresh and compelling style, Shelly offers devotionals/meditations based on her own life and daily experiences, providing understanding, insights, inspiration, and, yes, even laughter for anyone who is in the midst of these often difficult circumstances.